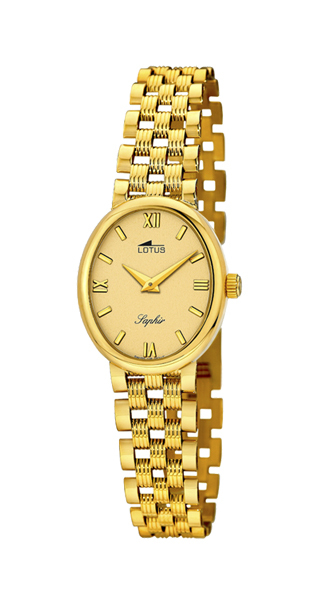 Of Lady LOTUS brand watches. CASE AND BRACELET MADE IN GOLD'S 1ST LAW 18 KTES. CUT-OFF GLASS. Dial with Roman numerals gold.